You just purchased a new pair of designer pumps, but you're having some issues with them. Your heel is slipping out the back and they pinch in the toe area, but if you try a half size larger the whole shoe is going to be too big! What to do, what to do ... Avoid that 'swimming-in-your-shoe' feeling and pick up this kit from Foot Petals™. 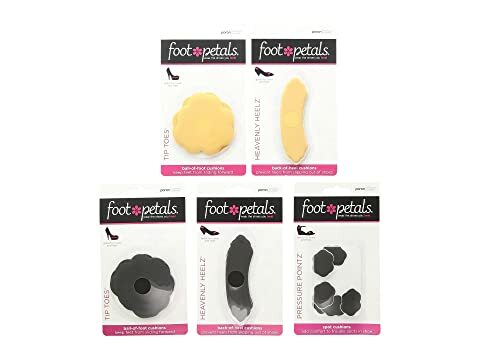 You'll have those fussy heels fitting perfectly in no time! All cushions have 3M™ adhesive backing that sticks to the interior of the shoe. 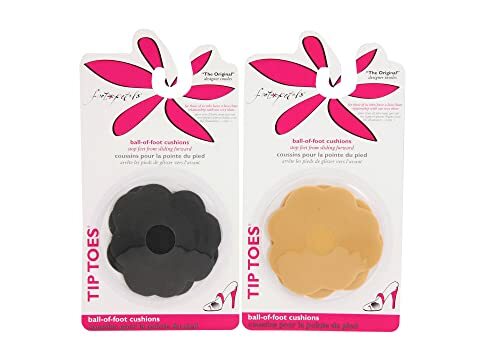 Tip Toes® (2 pairs): ball-of-foot cushions to stop feet from sliding forward. 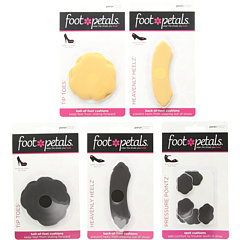 Heavenly Heelz® (2 pairs): back-of-heel cushions that help heels from slipping in and out of shoes. 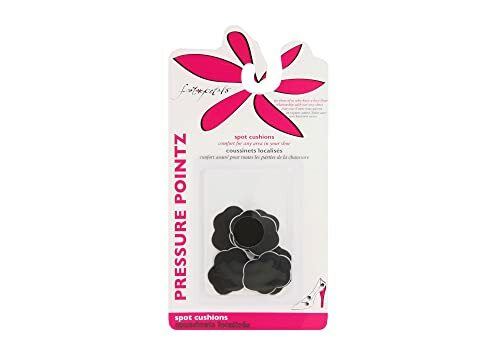 Pressure Pointz® (3 pairs): cushions to help prevent calluses from forming, and also aid against blisters and red marks.